The Graphics Team are the ones who create the final artwork for the labels that Weber manufactures. While they can handle most types of files and programs, there are certain requirements that will ensure that all pre-press work is completed quickly and correctly with a minimum of delay. • Download a copy of Weber's artwork specifications here. Need some label design help? 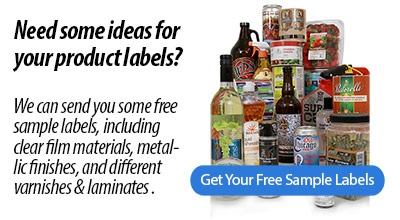 If you are ordering labels for the first time and need some help getting started, we can guide you through the process. Our talented label designers can even help you create your new label to showcase your product using the latest materials and design techniques. Let our Graphic Services department freshen your label design and bring new life to your brand. Please be sure to send all fonts used in your document. Printer and PostScript fonts both are necessary for us to output your files correctly. Avoid TrueType fonts. Minimum type size is 4 pt. For serif typefaces, we recommend 6 pt. as a minimum. Avoid light type fonts and serif fonts that are very thin, especially when used in reversed-out areas. Art/Photos/Graphic Images Please include all original files and links in their original programs (specified above). Avoid embedded art in your label artwork. Photos should be scanned at a minimum of 300 dpi at final scale. Crop your photos so that they are placed on or near 100% at their largest usage. 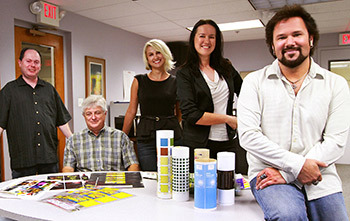 Weber can scan your original artwork or photo for you. Image Area/Die Strike Maintain a 1/16" clear margin from the dieline (keep in mind the corner radius, too). Include Corner Radius dimension as part of the Art File. Indicate zone or unvarnished areas. Contact your customer service representative for a listing of available die shapes and sizes. Custom dies can also be created for your specific needs. Color Specifications Please specify required PMS numbers on spot color artwork. Remember that colors incorrectly named, RGB, or indicated to be CMYK may cause confusion and result in your label printing in an unwanted manner. Please name your colors appropriately (if white prints as a color on your job, make a spot color called "Prints as white" and clearly indicate where white should print). Be sure to have only the colors that print on the label in your file. Avoid reverse type in areas with more than one color. If it is necessary to use a reverse, the type should have a holding line (outline) to ensure clean letters. Minimum line width is .4 pt. Reverse lines or rules have a minimum of .75 pt to avoid closing up when printed. Screened rules should be at least 1 pt. to avoid a wavy appearance. Rules should never have a fill color; only use a stroke/line color. Indicate the type of bar code needed and position on the label. We can create the bar code for you. The standard UPC A bar code should be at least 80% (preferably 85%) with a height of no less than 3/8". All bleeds should be 1/16" beyond the die line or crop marks. • Did you keep a copy? • Does your file contain the artwork in its original application? • Are your fonts provided? • Is it in an application Weber supports (see above)? • You didn't use low-res web images for the artwork, did you? If you submit via Overnight Delivery, make sure there is a proof included to go with your media. We need you to include a final proof with your file so we can make sure everything matches. Let your account manager know that you have sent your artwork to Weber. Call 1-800-843-4242 or e-mail your rep directly.